Rewind festival organisers have announced the lineups for this year's events. 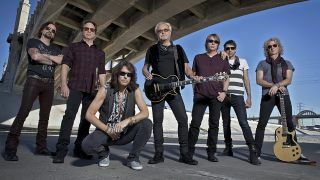 Three separate festivals will take place across the UK this summer – with Foreigner booked in for Rewind Scotland, which will take place on July 19-21 at Scone Palace, Perth. They’ll be joined over the weekend by more artists including Bryan Ferry, The Stranglers, The Undertones, The Skids and Big Country. Meanwhile, Thin Lizzy have been confirmed for Rewind North, which will take place on August 2-4 at Capesthorne Hall, Macclesfield. Other artists confirmed for Rewind North include The Undertones, From The Jam and The Dire Straits Experience. The final event, Rewind South is happening at Temple Island Meadows, Henley-on-Thames, on the weekend of August 16-18 and will see performances by Michael Bolton and more. Rewind event manager Katt Lingard says: Following our milestone 10th anniversary last year, we are excited to take Rewind into the future with a celebration of not just 80s artists but also legends whose influence spans far beyond the decade. “We are welcoming a host of fantastic artists who will be performing at the festival for the very first time like Bryan Ferry, Foreigner, Michael Bolton, Four Tops and Thin Lizzy. Tickets for Rewind Scotland, Rewind North and Rewind South are now available.